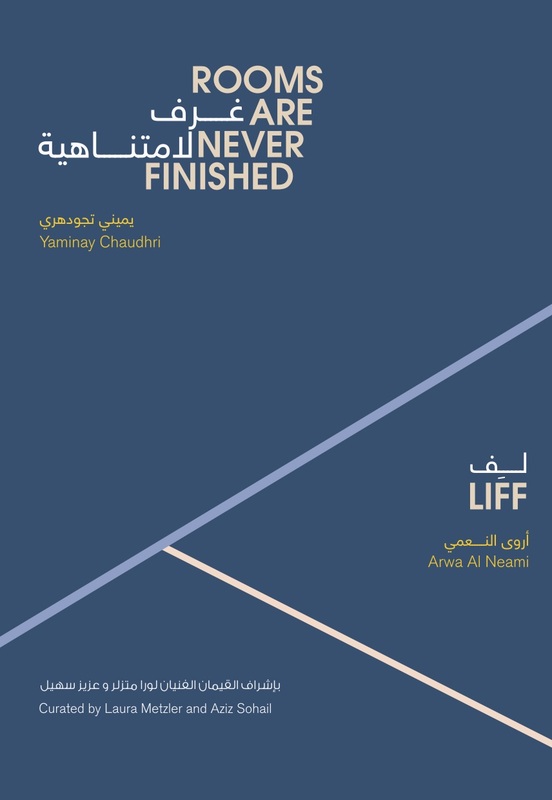 Please join us for the launch of the catalogue for Yaminay Chaudhri’s "Rooms are Never Finished" and Arwa Al Neami’s “Liff” in collaboration with Alserkal Programming. The discussion will include both artists and co-curators Laura Metzler and Aziz Sohail in conversation, introducing the exhibition and giving deeper insight into the artists’ practices at large. The catalogue for the two exhibitions in dialogue will be available for attendees and there will be an opportunity on Friday 10 August, 2018 to join a road trip to Sharjah for an exhibition tour followed by a visit to the Sharjah Art Foundation’s Rain Room.